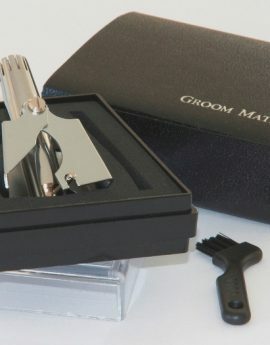 Groom Mate branded nose & ear hair trimmers are considered to be the finest battery-free nose hair trimmers available today. PHR Systems, Ltd. has been manufacturing these fine trimmers here in the USA since 1991. The Platinum XL nose & ear hair trimmer is made from 100% stainless steel and includes an unconditional lifetime warranty with a money-back guarantee if not satisfied. The Platinum XL trimmer has a patented rotary blade system that is guaranteed to never dull and to never pull or yank out nostril hairs. 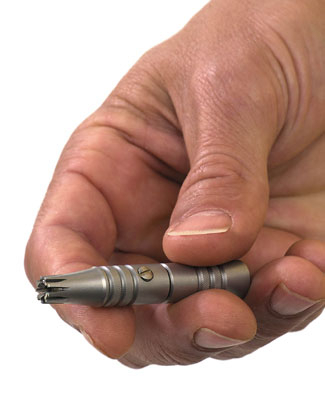 OUR BEST SELLING NOSE HAIR TRIMMER: The finest trimmer we offer. 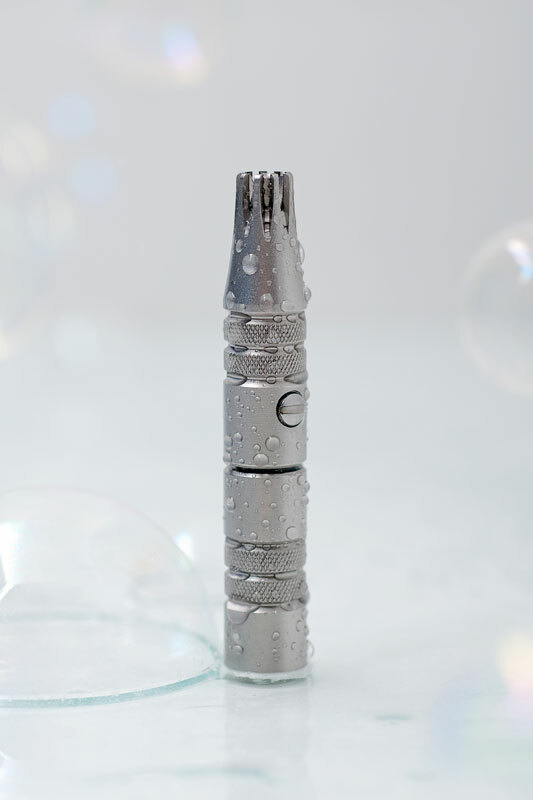 Made from the finest corrosion-proof stainless steel. Ultra sleek design – only 2.6” in length. Unconditional Money-Back Guarantee if not satisfied – Lifetime Warranty. Easy two hand operation. Rotate the bottom handle to activate the precision cutters. 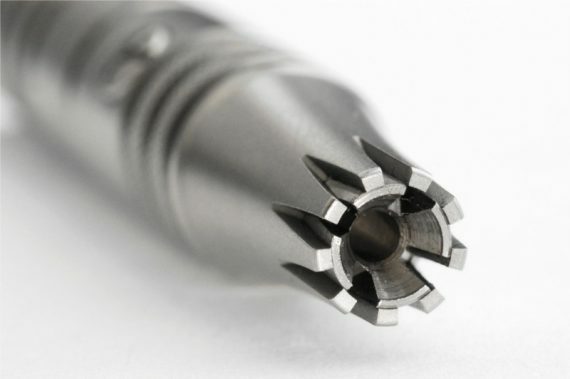 Rinse cutting head with water for quick cleaning or remove the inner shaft for more thorough cleaning. Includes a clear plastic tube for safe storage. Lifetime guarantee. Made in USA. 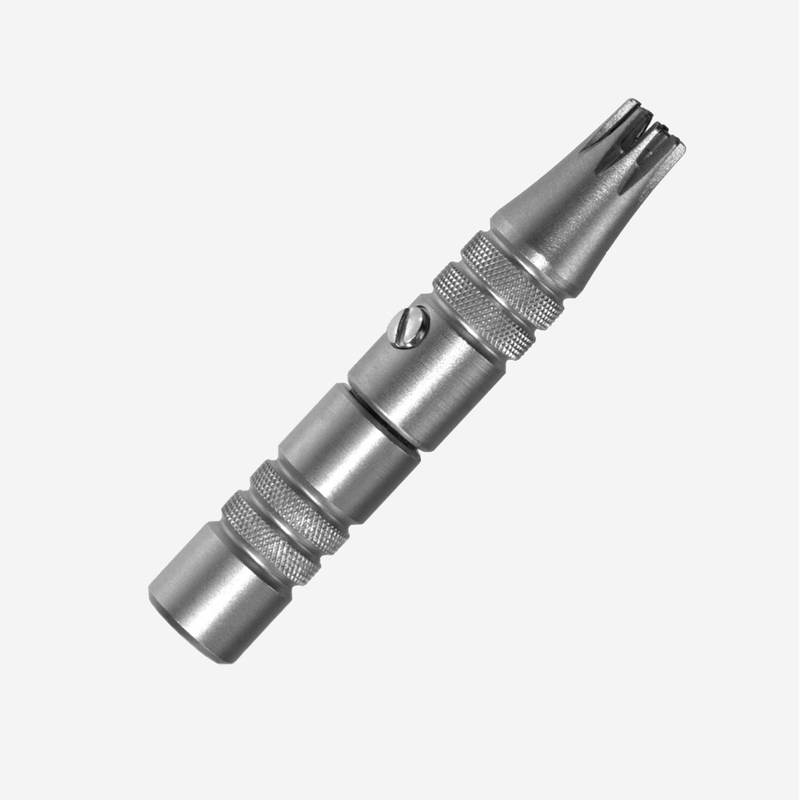 Single-Hand Operation Nose Hair Trimmer made of 100% stainless steel. Free Standard Shipping in the USA. We ship all of our products worldwide including APO & FPO addresses! Ultra Close Trimming with Newly Designed Rotary Blades Provides for a Very Gentle Grooming Experience! 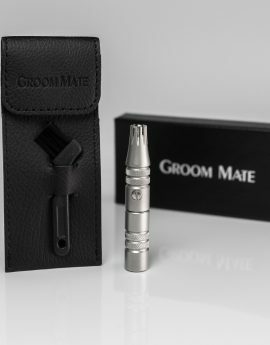 Groom Mate now offers you the Platinum XL PLUS!! 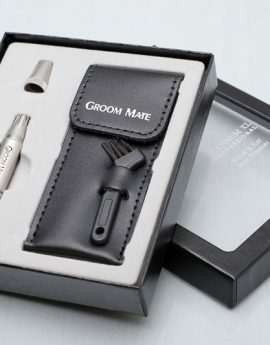 Same great design, same great nose hair trimmer and now including a leather pouch, cleaning brush and gift box! 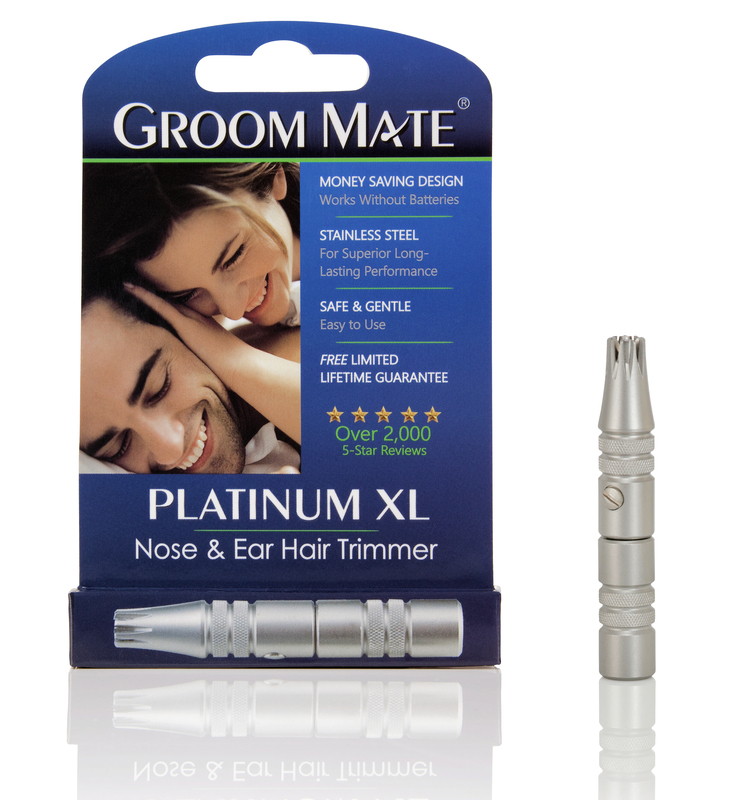 The Platinum XL PLUS nose & ear hair trimmer is made from 100% stainless steel and includes an unconditional lifetime warranty with a money-back guarantee if not satisfied. Copyright 2015 GroomMate. Web Development by WordwrightWeb.